NEWS: VOTE FOR THE OKAPI WON THE ZILVEREN GRIFFEL! 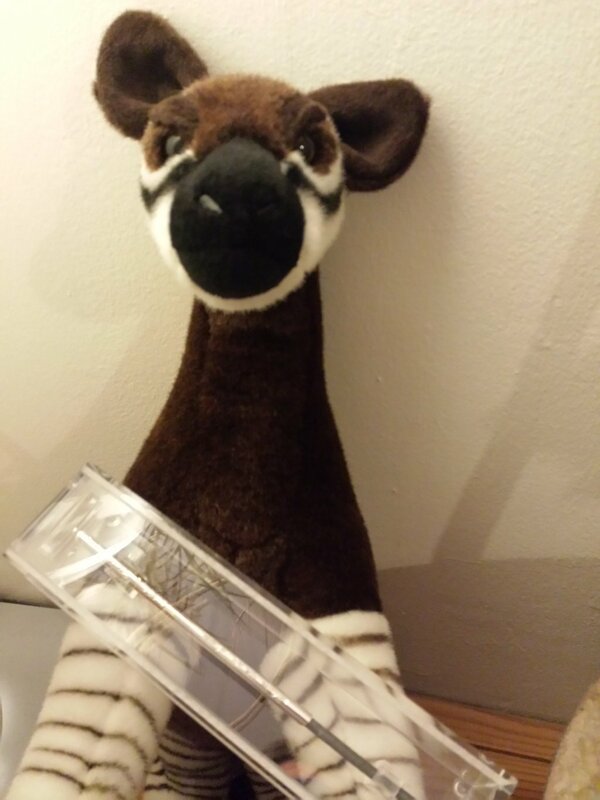 VOTE FOR THE OKAPI WON THE ZILVEREN GRIFFEL! It's the best known children's books award in The Netherlands: the annual Zilveren Griffel (Silver Slate). Up to ten of these awards are given each year, in different categories, by a professional jury. One of these awards will be turned into a Golden one during the Children's book week in October. 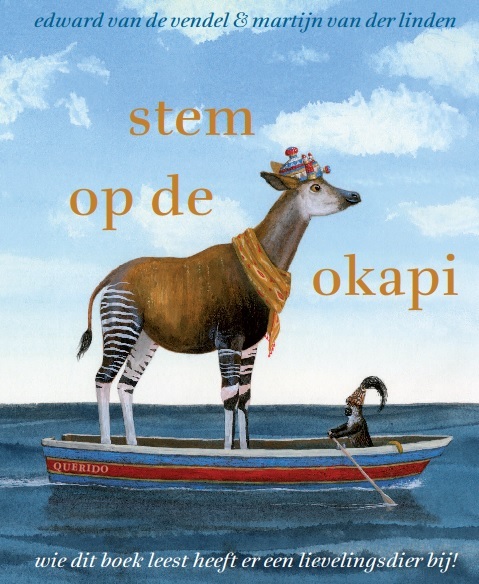 This year my book STEM OP DE OKAPI (VOTE FOR THE OKAPI) won a Zilveren Griffel in the non-fiction-category. I am very grateful for that. Martijn van der Linden, the fantastic illustrator of this book, received a Vlag en Wimpel (Honorary mention) for the artwork. The book was published by Querido in Amsterdam.